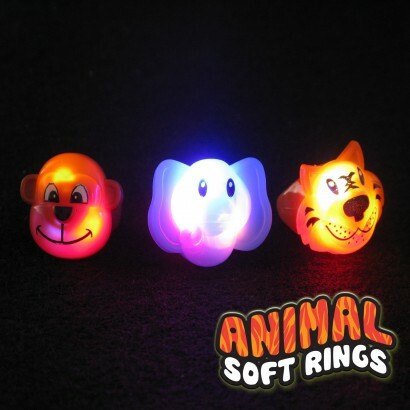 Soft and squashy rubber rings with animal characters and super bright multicoloured flashing LED's. 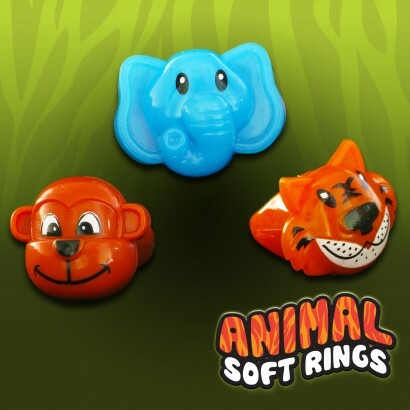 Inexpensive fun for parties and discos. One size fits all!